Kate is passionate about creating a life she doesn’t need a holiday from. There are so many reasons for this – but that’s a whole other blog! She now lives in the West Country after moving to her forever home in 2017. She and her husband chose beautiful Dartmoor because of family ties in Devon, and, to be perfectly honest, because you get way more for your money the further west you go! The move to a farmhouse in the middle of a field turned Kate’s business life on it’s head and gave the franchising side of her work a much needed rocket… there’s not much else to do in ‘the field’, apparently! 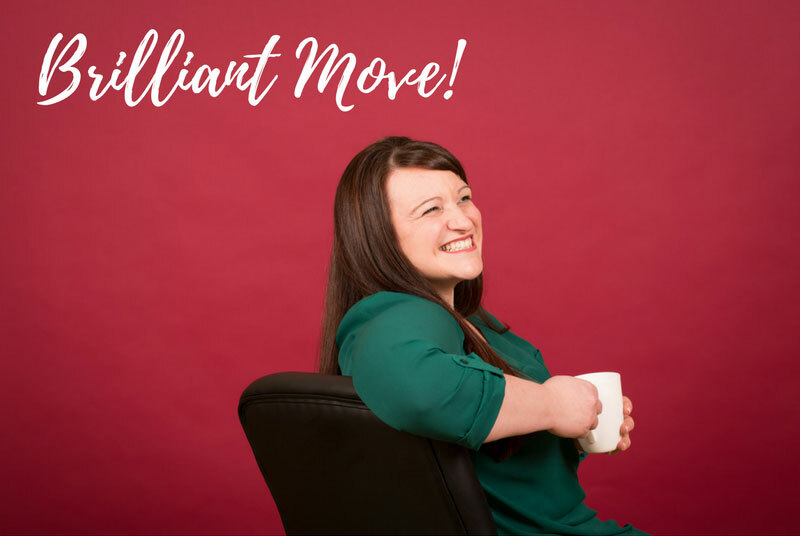 Kate now spends time travelling around the country to share her time between being a franchisor to the team of 5 and still working with a handful of wonderful clients as an executive freelance PA specialising in Marketing and Business Development. If it’s a working from home day, a lovely dog walk on Dartmoor and a spot of ‘Pony Gym’ – I have two rescue Dartmoor ponies that need feeding and mucking out daily! Or, if I’m on the road early, a strong coffee and the A30. In clients’ offices, with my franchisees wherever they may be or in my home office… which has been pretty tricky until recently as we’ve had 14 weeks of building work. Financial services and software design. But I have worked with clients in over 20 industries during my time as a Passionate PA.
With every client there is opportunity to learn new skills and gain further business knowledge. The opportunity to help people turn their vision into reality is a privilege and it’s so rewarding to see the difference my skills, time, effort, energy and enthusiasm can make to clients and their teams. It’s the same for franchisees too – I absolutely adore being able to help, guide and mentor amazing ladies with the aim of creating the business of their dreams. I love seeing the penny drop in a new franchisee’s mind when they start to really believe (rather than just hope!) that they will succeed at being a freelance PA at the top of their game. Everything changes for them once this happens in terms of confidence, ability to sell themselves, delivery of our service and their feelings about the future. Waiting for the penny to drop… for both clients and franchisees! I can’t say I’m known for my patience and sometimes, due to experience and battle scars, I can see the writing on the wall much earlier than those I’m working with. It tough not to jump in and shout the answer sometimes! Many moons ago, a lovely networking chum recalled a buddhist saying to me; “the teacher appears only when the student is ready”. This rings true in my head almost daily. I see my franchisees as my clients now and so the people I work best with are hard working, ambitious women that have bucket loads of valuable experience and skills and are ready to carve a new life for themselves. Becoming a business owner and selling yourself in the way we do is not easy, but, it is so exciting when things start falling into place. I love the thrill of franchisees winning their first clients, both with me holding their hand and as empowered franchisees with confidence to go it alone. Enjoying the amazing work/life balance I am lucky enough to have created at just 35… spending time with loved ones (human and the four-legged variety), baking, getting out and about on the farm, enjoying a good box set, exploring Devon… the list is endless. Interesting question for me. I never ‘went it alone’. I left my very sensible, well-paid job to become a Passionate PA with the utterly awesome Sarah Howells holding my hand (read more about her here!). I would not have stepped off the corporate ladder had I not met her and so I like to think that although Sarah and I didn’t have much time together, the unwavering belief she showed in me gave me the confidence to shape the business into what it is today. I am incredibly passionate about offering my franchisees the same level of support and only recruit Passionate PAs I believe in 100%. One of my pet peeves is how everybody seems to believe they can do what we do… they can’t. It’s far harder than we make it look. Ha, what was before PPA?!? It was so long ago for me. In seriousness, I was a Print Manager, Client Services Exec and Account Manager in a advertising agency. I also worked on a Cruise Ship, did a stint as a Wine Waitress in Brisbane and at one point I even travelled around the UK with a group of lads in a white van fitting out Toys R Us stores! It’s been varied to say the least. Wherever my client is comfortable. I am an avid audio book fan because I spend so much time in the car these days. On the go at the moment are Instant Motivation by Chantel Burns (life changing! ), Captain Corelli’s Mandolin and Victorian Secrets by Stephen Fry. The mad owner of the advertising agency I worked for straight out of Uni. She gave me incredible opportunities to pitch alongside her at businesses like Hertz and BOC gases. She taught me a huge amount about how to run a business alone and then, sadly, made me redundant at just 23. I was utterly heartbroken and it took me years to understand what she meant by “this is your ticket to fly”. Fly I did though, in the end… and I bumped into her in Waitrose many years later. After the shock and a good cuddle she told me that it was one of the hardest decisions of her life and to that day, she regretted it. She explain that there were many more business issues at play than I would ever have understood at such a tender age. Gosh do I understand it now. A very very valuable lesson. My gorgeous Chocolate Lab, Lilly, and my Dartmoor ponies, Harry and Pepsi. They are so full of character and keep me grounded. There is nothing more calming than an hour outside with these lovely creatures (unless it’s tipping it down, blowing a Dartmoor gale and they are misbehaving). Blimey there are so many. Probably easier to say if you are looking for a recommendation just ask, I’m really happy to connect businesses based on real need and personality.